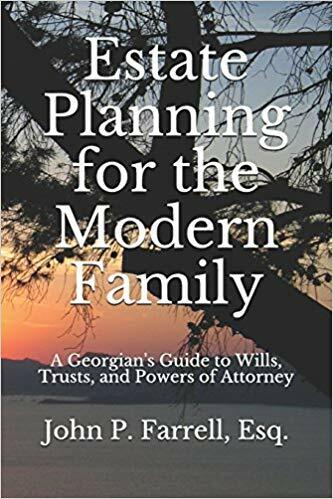 From time to time, a family will visit me in my Marietta office and ask why they should choose me over an online Will drafting company like LegalZoom or Rocket Lawyer. It’s an interesting question that leads me to believe they have a misunderstanding about what these companies do (and don’t do). So, here are just the Top 3 reasons to never use LegalZoom or buy legal forms for estate planning purposes. Their service is not a substitute for the advice of an attorney. (Good to know. Perhaps you should just start with an attorney in the first place and save time and money). The legal information on their site is not guaranteed to be correct. (Which is true as you’ll see below). One of the more important factors in determining whether to work with someone is what people who have worked with them have to say. Consumer Affairs gave LegalZoom a 1.3 rating out of 5 based on 202 ratings submitted by users within the last year alone. You should only work with someone who has hundreds of positive testimonials from people who have worked with them. You can see just a few for the Farrell Law Firm from our Marietta estate planning clients by clicking here. I recently had an opportunity where a family asked me whether a handwritten Will was valid in Georgia. This is a good question that often goes misunderstood. So, I wrote an article about whether a handwritten Will is valid in Georgia and you can access that article by clicking here. If you’d rather see a video answer to the question, you can access my video by clicking here. This is simply not true. I know because I’ve helped several families probate handwritten Wills. There’s nothing about a Will being written by hand that makes it inherently invalid. As long as the handwritten Will meets the other requirements for a valid Will in Georgia, a handwritten Will is valid. This is where LegalZoom is confused: Georgia specifically mentions that holographic Wills are invalid. A holographic Will is a Will that is written entirely in the hand of the Testator, the person making the Will. That’s it. It doesn’t meet the other requirements of having a valid Will in Georgia and this is where LegalZoom is confused. A holographic Will is a type of handwritten Will. But, as long as the handwritten Will meets the other requirements for having a valid Will in Georgia, it will be valid. So, if LegalZoom is wrong about this most basic small estate planning issue, what makes it right on the other larger issues you might be facing. This is why you should consider hiring an estate planning attorney to assist you with your estate planning needs. I’ve written on how an estate planning attorney can help you avoid costly mistakes and you can access it by clicking here.